Chevre is a soft and creamy spreadable cheese traditionally made with goat milk. It makes a delicious spread for crackers and breads as well as an excellent dip for vegetables. 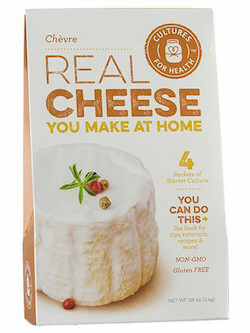 Chevre is easy to make and a perfect option for both beginning and experienced cheese makers. Use 1 packet of chevre starter with 1-4 quarts of fresh goat milk.